Politics in Karnataka has heated up with reports of horse trading flying thick from both the Congress-JD(S) coalition camp and the Opposition BJP. According to latest reports, BJP is claiming that its MLAs are being poached, following which the party has shifted more than 100 of its MLAs to Delhi and they soon would be sent to a resort in Gurugram in BJP-ruled Haryana. 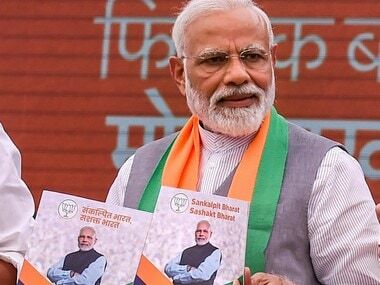 According to India Today's report, BJP sources have claimed that 10 Congress and three JD(S) MLAs are ready to switch over to the saffron party. The Opposition may even bring a no-confidence motion against the government next week, the report suggested. 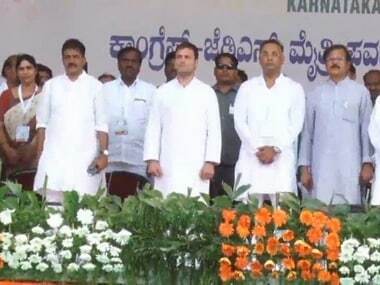 However, the Congress too has claimed that three to five BJP MLAs are in touch with the Congress-JD(S) alliance, while Karnataka Congress president Dinesh Gundu Rao has expressed confidence in his government and the unity of its MLAs. 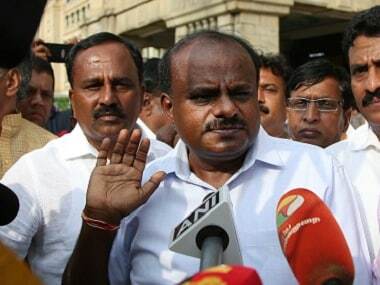 Earlier on Monday, Karnataka chief minister HD Kumaraswamy Monday said there was no question of "instability" in the Congress-JD(S) dispensation as he sought to downplay reports about the BJP allegedly attempting 'Operation Lotus' to topple his government. He, however, reiterated his allegation that the BJP was trying to lure MLAs of the ruling combine even as he expressed confidence that none of them would switch sides. "I have noticed reports in sections of the media (about 'Operation Lotus'). Today too I saw a media report stating that on 17 January, President's rule will be imposed in the state. I don't know who is feeding such reports to the media... I was surprised to see the report," Kumaraswamy said. "I don't know who will benefit from such reports, but in my opinion, it will cause loss to the people of the state," he told reporters in Mysuru. 'Operation Lotus' is a reference to the BJP allegedly luring MLAs from rival parties to defect to either retain or remain in power. The term was first used in 2008 when the BJP used it on MLAs from opposition parties to ensure the stability of its then-government in Karnataka headed by BS Yeddyurappa. Karnataka water resource minister DK Shivakumar said on Sunday that the BJP's 'Operation Lotus' to topple the JD(S)-Congress alliance government was for real, alleging that three Congress MLAs were camping in a hotel in Mumbai in the "company of some BJP leaders". "Horse trading is going on in the state. Three of our MLAs are in Mumbai in a hotel with some BJP MLAs and leaders. We are aware of what has transpired there and how much has been offered to them," he said. Shivakumar, who had earned the reputation of being a "trouble-shooter" in the Congress for bailing out the party from many crises in the past, accused Kumaraswamy of being "lenient" towards the BJP. "Our chief minister is a bit lenient towards the BJP. By 'lenient', I mean he is not exposing the facts he knows. All the MLAs have conveyed to the chief minister about the ongoing conspiracies. They have also told Siddaramaiah about it. The chief minister is adopting a policy of wait and watch. If I was in his place, I would have exposed it within 24 hours," Shivakumar said. The Karnataka minister also said that Siddaramaiah and Rao were aware of the development. Shivakumar, however, exuded confidence that the BJP would not succeed in its attempt. "You have been saying that a 'kranti' (revolution) may happen after Makar Sankranti. Let us see. It is not so easy because there is already anti-defection law in place, but we are aware of what you are hinting at," he said in an apparent reference to the opposition BJP in the state. Shivakumar also wondered why the Income Tax Department and the anti-corruption bureau failed to initiate any action on a complaint by Rao on the matter. "We do not know what progress these two agencies have made so far, but sitting on the complaint by a political party is not good," he said. Many Congress MLAs in the southern state have alleged that they were approached by the BJP leaders to quit their party and join them. 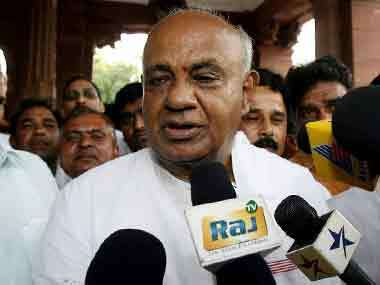 When asked about Shivakumar's claim, Kumaraswamy said, the three Congress MLAs were in constant touch with him. Not revealing their names, he said, "They are my friends. Those MLAs in Mumbai or 104 BJP MLAs who are in Delhi are all my people, so there is no question of instability to this government. (The Congress) MLAs have gone to Mumbai after bringing it to my notice; they are in constant touch with me." "I spoke to them at 7.30 in the morning. They have gone for personal reasons, and there is no need to add politics to it," Kumaraswamy said, adding, "...if my government is facing instability, is it possible for me to be at ease?" When asked about BJP MLAs meeting in Delhi, Kumaraswamy said the leaders were holding meetings for matters related to their respective parties. "BJP members have gone for their executive meeting and to plan a strategy for the Lok Sabha polls to win more seats. What should I do if their meeting is being seen as a threat to this government?" the chief minister said. Kumaraswamy said that he knew all about who the BJP was contacting and what kind of offers it was using to lure them. He expressed confidence that no MLA from the ruling coalition would defect to the saffron party. "None of our Congress and JD(S) MLAs will go, falling prey to their allurements. There is no such situation," he added. According to reports, all may not be well in the Congress-JD(S) alliance. Earlier in an interview with PTI, Kumaraswamy had said that his party should not be treated as "third-grade citizen" and the partners should adopt a "give and take policy" to put up a united fight against the BJP. Former chief minister and JD(S) patriarch HD Deve Gowda had also said that he would speak to Rahul Gandhi about the problems troubling the coalition. However, Deputy Chief Minister G Parameshwara reiterated that the Karnataka government was stable. "There is no chance (of the government becoming unstable)," he said. When asked about the Congress MLAs camping in a Mumbai hotel, he said "Let them be... why they have gone, nobody knows. They might have gone on holiday or to visit temples or meet leaders." He, however, didn't shy from accusing the BJP of trying to poach Congress MLAs, while claiming that the opposition party would not be successful. "We have faith in our MLAs, so we need not worry," he said, adding that the party was watching the developments. Meanwhile, the BJP has trashed the charges, saying the coalition partners were hiding their shortcomings and internal strife by making false accusations at the Opposition.